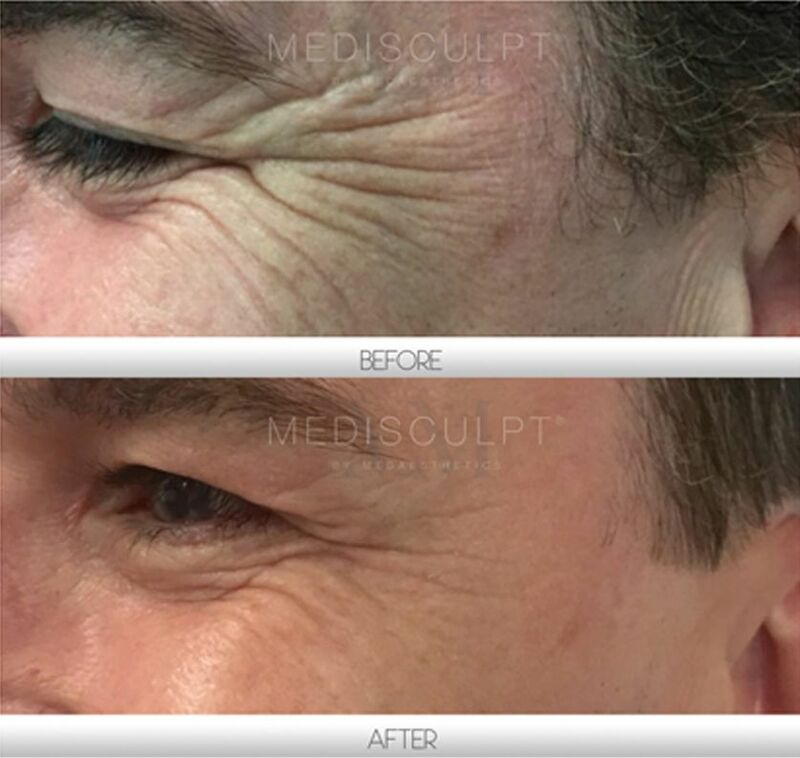 At Medisculpt, we are an Allergan™ Diamond clinic performing several thousand treatments each year. Arguably the number one cosmetic medical treatment in the world, anti-wrinkle injections involve the use of a natural, purified protein. This treatment relaxes wrinkle-causing facial muscles to create a smooth, rejuvenated and fresh appearance. 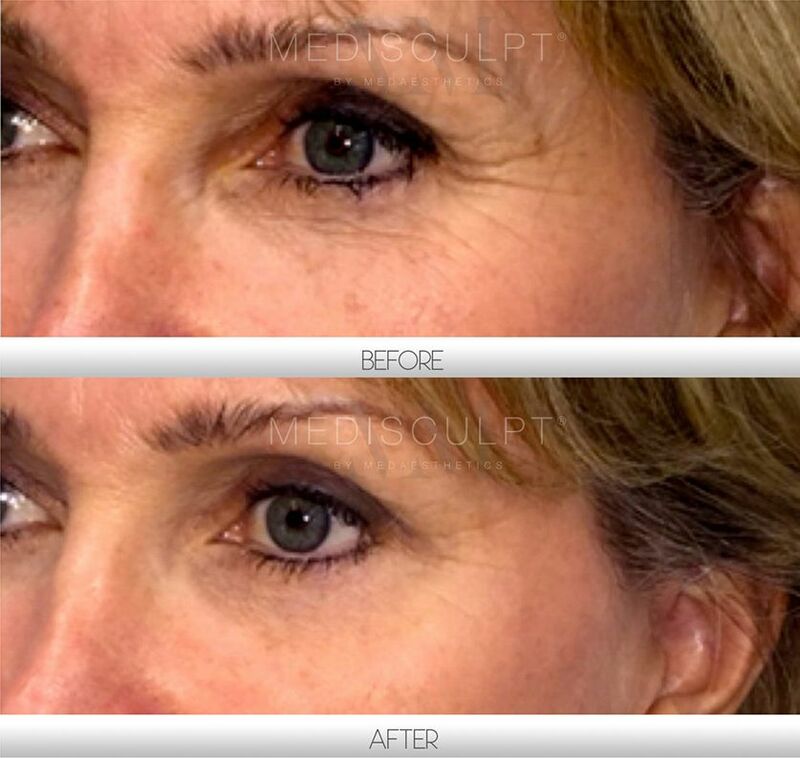 Anti-wrinkle injection treatments are effective, relatively affordable, convenient and entail little to no downtime. When choosing your anti-wrinkle Injection treatment provider, it is essential to understand that a fully accredited and reputable cosmetic medical clinic managed by medical doctors is your best choice. What are anti-wrinkle Injections comprised of? The substance used as a muscle relaxant in anti-wrinkle injections is a naturally occurring purified protein. It is not a synthetic human-made chemical or a snake venom. In Australia, this is a Schedule-4 drug, which can only be prescribed by a medical doctor. Due to TGA restrictions, we are unable to mention the name of this drug. Anti-wrinkle Injections work by inhibiting the transmission of signals between the nerves and the injected muscles. This temporarily relaxes the muscles to ensure they do not contract as forcefully. As such, the overlying skin is given a chance to rest and repair itself so that the wrinkles become less visible or disappear entirely. 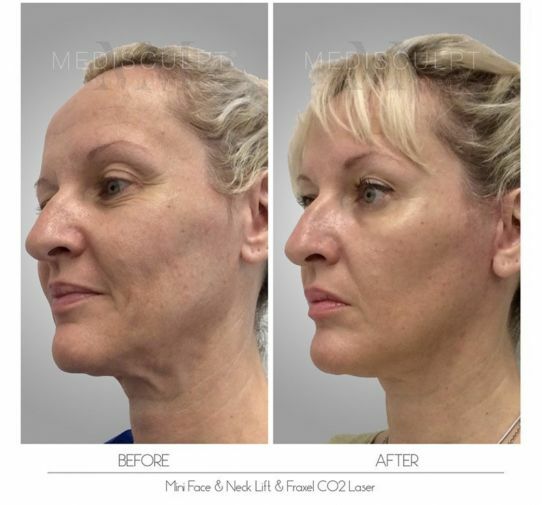 Not only does the use of this treatment reduce existing lines and wrinkles, but it also prevents future ones from forming. How safe are anti-wrinkle injections? 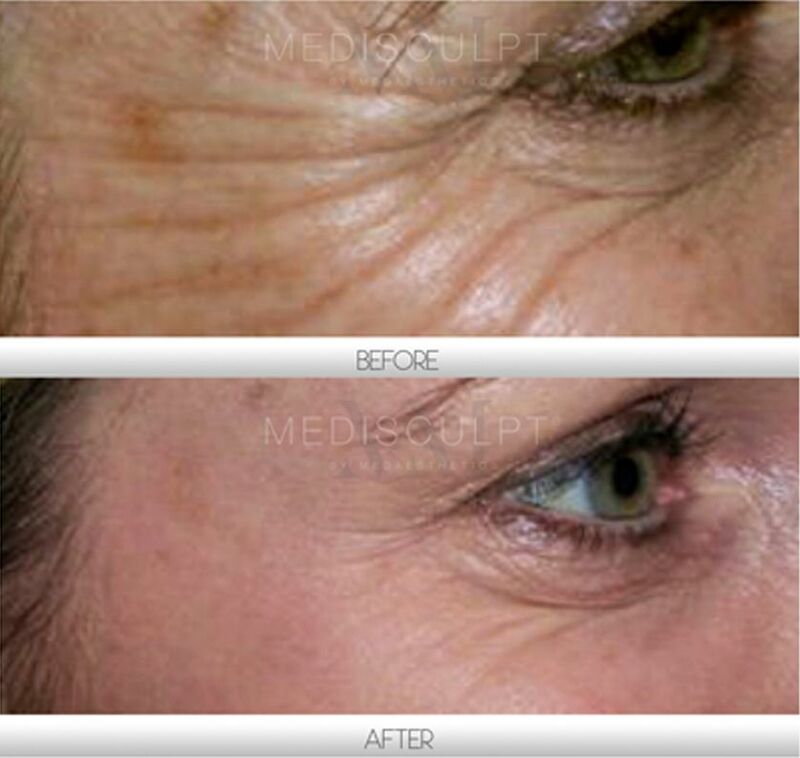 The safety profile of anti-wrinkle injections is considered to be excellence. Apart from the extremely rare risk of allergic reaction, there are no major side effects associated with this treatment. At Medisculpt™, we use topical numbing cream, ice and a special vibration anaesthesia device for all facial injection procedures. This minimises any anxiety or discomfort associated with this treatment. Often, we find that all new patients are pleasantly surprised by our painless injection techniques. There are generally very few associated side effects, with most being transient. Minor swelling and redness at the injection site are usually resolved within the first few minutes following the procedure. Some patients may experience mild, short-term bruising which can be easily covered with makeup. Having a mild headache after the treatment has also been reported; this can be treated with oral painkillers such as Panadol. 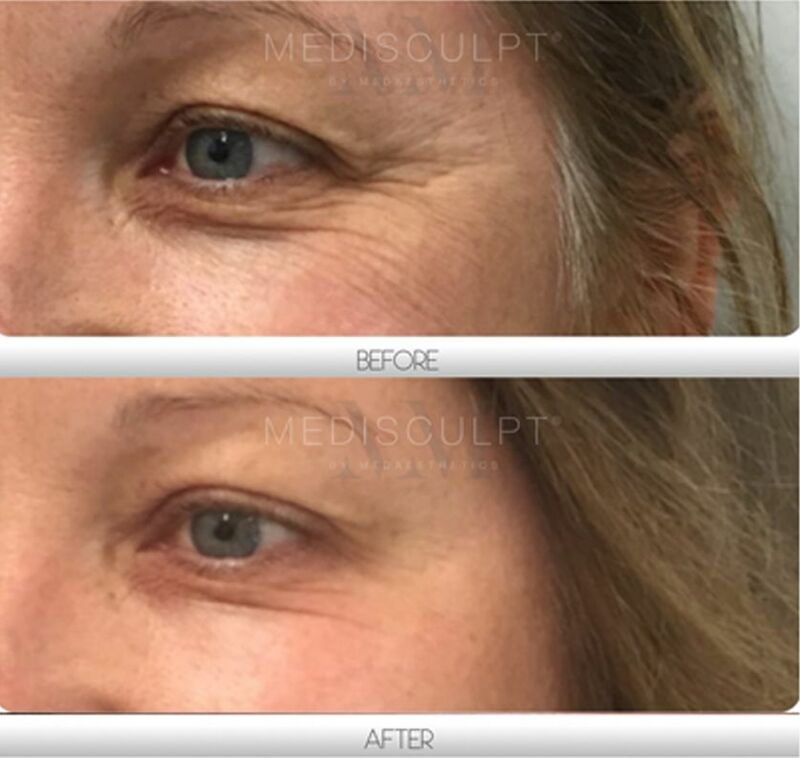 In rare cases, the anti-wrinkle injection medication may spread beyond the desired muscle when injected in the frown region, causing temporary drooping of the upper eyelid. This is extremely rare in the hands of an experienced injector and is treatable with topical eye drops. This issue usually resolves within a few weeks. What is the duration of this procedure and is there a follow-up? A follow-up appointment is only required after 2 weeks if the treatment properly achieved its desired effect. However, cases like this are extremely rare. When can I resume work or begin exercising again?? Most patients can return to work or immediately resume normal activities following the treatment. We recommend avoiding strenuous exercise, heavy lifting and massaging of the injected area for the first 24 hours. Will I have a 'frozen' appearance as a result of the procedure? Anti-wrinkle injections aim to have you appearing refreshed instead of 'frozen' or 'stunned'. In the hands of an experience injecting doctor, the results will look natural and refined. In order to minimise the possibility of bruising, it is best to avoid anti-inflammatory medication such as aspirin and Nurofen (ibuprofen) as well as fish oil, green tea, garlic, ginkgo and other herbal products that are prone to thinning the blood. The consumption of these should be stopped at least a week prior to your planned treatment date. How much product do I require and what is the cost of this amount? On average, the treatment of Frown Lines or Crow’s Feet costs between $200 to $360.The cost of Forehead Lines is between $100 to $250. Generally, males require larger doses than females.